This summer, I interned with the ASPCA Government Relations Team in Washington, DC. My work was focused on the ASPCA’s grassroots advocacy initiatives, including the development of the District Captain Volunteer Program and the launch of an Ohio campaign to oppose a bill that supports the puppy mill industry. I also traveled to Massachusetts to collect signatures for a farm animal ballot measure and participated in two ASPCA-sponsored events: the Taking Action For Animals 2016 conference and the Paws For Celebration pet adoption event. For my final project, I wrote a research paper on volunteer engagement and I developed a District Captain Volunteer Guide that the ASPCA will use to train the volunteer team members. My experience with the ASPCA has helped me gain insights into the animal welfare community, build my professional network, expand my communication skills, and prepare me for my new job at Alley Cat Allies. I spent my summer externship as an instructor at the Yale Summer Institute of Bioethics, where I designed and led a six seminar series on Ethics and Animals with Laure Hoenen. Planning started in April via Skype, since Laure lives in France. Our challenge was to offer material that would be useful to professionals, undergraduate, and graduate students with a wide variety of interests and to make the subject material accessible to those who spoke English as a second language. Planning and designing the courses allowed me to explore my own professional approach to companion and food animals through the lens of ethical thinking and to better understand a subject for which I have developed a passion, human attitudes towards wildlife and the natural world. In addition to the seminars, I presented a paper at the summer symposium which became my final research paper for the MAPP program, The Need for a Wildlife Ethic that Works. 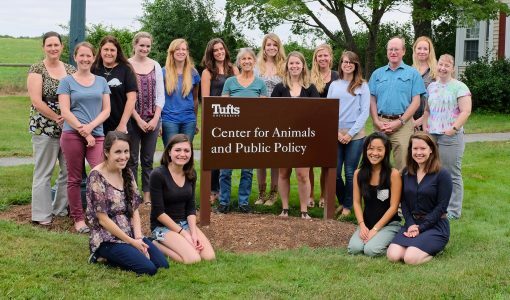 I spent the summer of 2016 exploring institutional policies aimed to increase animal welfare through the Animal Research Protection Program (ARPP) and Institutional Animal Care and Use Committee (IACUC) at Brown University. 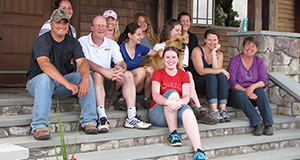 The IACUC is composed of a diverse body of Brown faculty researchers, veterinarians, and administrators. I was fortunate enough to directly observe the policy development process at the institutional level, especially at a university where there is an influx of diverse species ranging from bats to boa constrictors used for animal research. I received the opportunity to develop new policies for the IACUC, attend convened IACUC meetings, and assist during IACUC semiannual inspections. Although animal research can be controversial at times, I learned policy development can play a crucial role to improving the quality of life of research animals during my externship. Brown University and the ARPP links the bridge between animal welfare and constructive science, which truly helped me understand the importance of institutional policies and regulatory laws. For my summer externship, I worked at 4 Paws for Ability in Xenia, OH. This is a service dog organization dedicated to providing highly trained service dogs to children and veterans with disabilities to promote increased independence for them and their families. My primary job was to work in the development department and socialization department. In the development department I helped to write grants, completed a competitive analysis of other service dog organizations, wrote thank you notes, and assisted with a few projects. Within the socialization department I worked with both the puppies and the larger dogs to socialize them to be the best service dog they can be. Being a part of behind the scenes I learned that a lot of work, dedication and passion goes into a non-profit organization and sometimes what works for one assistance dog organization does not work for another. For my summer externship I went to work for the U.S. Fish and Wildlife Service (USFWS) out in Portland, OR. While I took on projects from various departments, the main focus was in the Endangered Species Department evaluating habitat conservation plans for four Oregon listed species: the Fender’s blue butterfly, Kincaid’s lupine, Nelson’s checker-mallow, and Bradshaw’s lomatium. Habitat conservation plans are created based off of the official recovery plan for a listed species and outline what management steps will be taken to reach the recovery goals. My main job during my externship was to review habitat conservation plans for pieces of land throughout Oregon to determine if they sufficiently met the recovery goals for each species. Among other things, I learned about the constant balancing act the USFWS has to preform between meeting the needs of listed species and keeping good relationships with property owners in order to continue their recovery efforts on private lands. During my summer externship with the United States Department of Agriculture Food Safety and Inspection Service’s Office of Field Operations, I extensively studied the purpose and efficacy of protocols pertaining to the humane handling of livestock prior to slaughter under Title 9 Code of Federal Regulations. I worked under and consulted with the humane handling and enforcement coordinator in order to determine the efficacy of the humane handling policies that are currently in place, including Notices of Intended Enforcement (NOIEs), suspensions, reinstatement of suspensions (ROSs), systematic and robust systematic approach programs, noncompliance reports (NRs), and administrative enforcement reports (AERs). This project included the retrieval of information from databases, which included slaughterhouse data, consisting of, but not limited to HACCP size, slaughter class, establishment identification, stunning method, noncompliance reports, and enforcement actions (NoIE, suspensions, and/or RoS). I performed analyses of this data and generated a report and presentations that were shown to DVMSs employed by FSIS on a monthly basis. I helped to determine that an improved method of data collection was necessary in order to allow more efficient record keeping and future analyses to be performed. Part of this improved data collection included my development of a prototype for a mobile application that will aid DVMSs and inspectors to more readily and efficiently convey what actions are taken for certain humane handling violations. It will also enable them to not only list the violated regulation, but also the reason for the noncompliance, as well as the species of animal and the stunning method used. The need for more efficient and specific data collection was determined, because the information provided in the databases was not enough to allow my team to perform analyses to the desired granularity as readily as anticipated. I presented my idea to senior executives of the FSIS agency, as well as an IT employee, who incorporated my idea and prototype for a mobile application into a larger presentation on future technological developments within the agency. The senior executive has approved an interim solution for use by the inspectors of humane handling during slaughter until a mobile application can become a possibility. Although I hope to secure a career with one of the agencies within the USDA, I ultimately strive to work in a regulatory capacity with livestock and poultry. It is my hope that my completion of the MAPP program will enable me to fulfill my goal for improving the welfare of these animals. My externship with the MSPCA began at the end of the state’s 2015-16 legislative session. Because of this timing, I was able to participate in the lobbying efforts toward improving animal welfare in Massachusetts. I also had the opportunity to contribute to other state and local issues, such as the farm ballot question, Blue Hills deer hunt, Beaver grant funding, and proposed Cambridge pet store ban, where I testified before the City Council. Finally, I executed the first thorough overhaul of the MSPCA’s Living With Wildlife web pages in nearly ten years, which required extensive research to improve site content and navigation. This summer I had the opportunity to work with beluga whales, harbor seals, and northern fur seals at Mystic Aquarium. In addition to diet preparation and exhibit maintenance, I spent much of my day observing and assisting with husbandry training and routine veterinary procedures. My project focused on mixed-species exhibits as a fundamental concept in modern zoo and aquarium management, exploring the benefits and possible challenges associated with this increasingly popular practice. I learned so much about the physiology and behavior of these animals, the nuances of animal training, and the dedication it requires to work with marine mammals.